In this article we’re going to talk about a fun and highly exploitative strategy – going all-in on the river as an overbet. You have a range advantage over your opponent, and can therefore exploitatively bluff with a wide range. You have a strong hand that might be perceived as a bluff (especially on boards with missed draws). I’ll run through a hand that I played recently in order to explain these concepts in more detail. Then I’ll explain how utilizing them together in a balanced way makes for a formidable river-betting strategy. Going all-in on the river as a bluff can be very effective at forcing folds from hands that would call a smaller bet. Overbetting all-in works best when the board texture is very favorable for your range rather than your opponent’s. To see this strategy in action, let’s have a look at a hand I played at the micro stakes for a ‘Play & Explain’ video in The Poker Lab. SB checks, Hero bets $2.75, SB calls $2.75. SB checks, Hero bets $10, SB calls $10. To understand why this is a good spot to overbet, it is helpful to compare our button ranges against those of the player in the small blind. A reasonable c-bet range BTN vs SB on 942r (63 value combos to ~90 bluffs). SB’s estimated continue range against the flop bet, assuming no check/raises (12 combos of strong hands). As these ranges show, we have almost five times as many strong value hands in our range than our opponent on this flop. This is because there are a number of overpairs (TT+) that are eliminated from the small blind’s range due to the fact that they did not 3-bet pre-flop. Since we have a range advantage in this situation, we can exploit the small blind by attacking their weak range with our bluffing hands. On the flop, we bet a size that gave our opponent approximately 2-to-1 on a call (see: how to calculate pot odds here), and we want to balance our bet range accordingly. Balancing a bet range perfectly is a very complex task, so we’ll just estimate for now. A very rough rule of thumb for the flop is to construct your bet range with around 2 bluffs for every 1 value bet. Our flop range above looks pretty good, in which we are betting 63 value combos and about 90 bluff combos. Our value range consists of strong hands that will often want to bet 3 streets for value (K9+). Hands like Q9 or J9 could be bets on the flop, but let’s assume we check them in this spot. We have chosen to bluff with draws that are capable of improving to very strong hands by the river. Note, however, that this bluffing range is just a suggested one. Hands with straight/flush draws (or backdoor draws) are good choices to bluff with, but putting some of them in our check back range is good too. Now let’s move on to the turn. Many of our opponent’s hands from the flop will be forced to fold facing this slight overbet on the turn. SB’s continue range against the turn overbet. Our value range from the button remains much larger (4x more combos of strong hands) than the small blind’s. 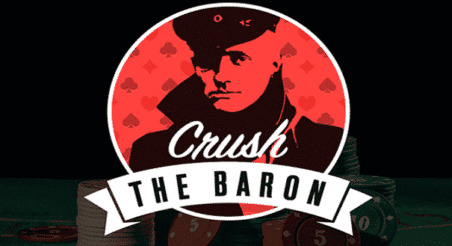 Here, we can profitably overbet the turn with both value bets and bluffs. This is because we will almost always have our opponent beat when our value bets are called, and we will force our opponent to fold over 50% of their range when we bluff using this size. Also, low flush draws will likely fold to a large bet, as well as pocket pairs such as 55, 66, 77 and 88. Even if we were ahead of these hands, getting them to fold without seeing the river is a great result for us. SB’s estimated river range. 8 combos of strong calls, 11 more combos of green calls (and he should probably call with most of them). The small blind can have few very strong hands on this river, just 8 combos, and we have over five times that amount. Even if we were to include all of the green hands, there are just 19 total combos with which to call. Consequently, we can put a ton of pressure on the majority of their holdings by overbetting as a bluff. By doing so, we force our opponent to fold over 50% of their range on the river, and we scoop a hefty pot! Because of our overwhelming range advantage, we should also overbet this river with value hands. This will ensure that our river overbetting range is reasonably balanced, which prevents our opponent from exploiting us in turn by calling. But it will also mean we sometimes get excellent value from our made hands when we get called. And this is especially true on boards that give our opponent the impression we have a missed straight/flush draw. Given that we are choosing to overbet shove this river as a bluff with missed straight/flush draws, our opponent may (and probably should) feel obligated to call us down with some bluff-catchers. On a board with multiple missed draws, mixing in strong hands with this bet sizing is very necessary. Again, by doing this, we deny our opponent the ability to exploitatively call us down when we take this line, while also extracting maximum value with our strongest hands. …fold too often and allow themselves to be exploitatively bluffed on the river. For this strategy to be most effective, you often need to put a lot of pressure on your opponent by making large bets relative to the pot on all three streets. To do this, it is crucial that you consider your stack-to-pot ratio (SPR) when betting, and make sure that you use sizes that allow you to overbet on each street. If you don’t consider the SPR on the early streets, you may end up with too few chips to effectively bluff the river. Now, we’re unable to overbet the river which makes our opponent’s river spot a lot easier. If you haven’t already been using a river-overbetting strategy in your own game, adding it to your arsenal can be very profitable. As a bluff when you have a distinct range advantage over your opponent; i.e. when your opponent is not likely to have a strong range given (1) the board texture, and (2) the action throughout the hand. With very strong hands on boards where you are perceived to have a number of missed draws that will want to bluff. Not only can the overbetting strategy make you a lot of money, it will also make you a hell of a lot tougher to play against. By overbetting with a range that is balanced with both bluffs and strong hands, we make our opponent choose between two undesirable actions: call us down with marginal holdings, or fold and let us exploitatively bluff them as a result. An earlier version of this article misstated the rule of thumb for balancing flop ranges as 2 value bets to every 1 bluff. It has been corrected to 2 bluffs for 1 value bet.